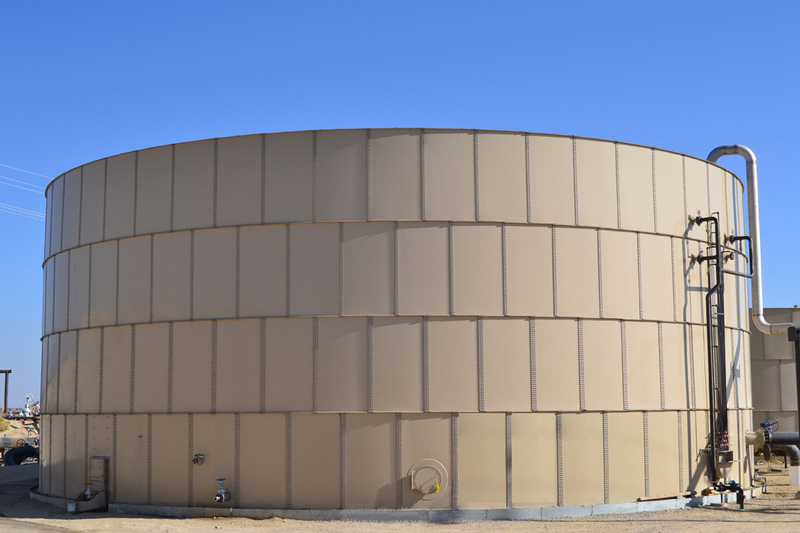 Complete Solutions for Oil Storage Tanks - Superior Tank Co., Inc.
All STCI bolted tanks for oil storage are engineered and manufactured to meet the strict API SPEC 12B design standard and include numerous elements to increase tank durability and longevity. To seal our tanks, we use heavy duty gaskets made of Buna-N or Viton in place of mastic putty which is incompatible with oil storage. Our custom made Buna-N and Viton gaskets are extremely durable and resistant to crude oil and other corrosive liquids. Also, to increase the lifespan of the bolted tank, our gaskets have high tensile strength to prevent tearing and remain flexible over time. In addition, our gaskets do not require routine replacement thereby decreasing maintenance requirements. To reduce service intervals, our bolted tanks feature premium Scotchkote powder coating which is specifically formulated for oil storage. Our API SPEC 12B bolted tanks range in capacity from 100 to 10,000 bbls and adhere to dimensions determined by the API SPEC 12B specification. In addition to bolted tanks, STCI also engineers and fabricates welded steel tanks for oil storage. Our welded tank division specializes in welded steel oil storage tanks and has decades of experience. Our field teams are highly trained on safety processes such as confined entry and other procedures. Our focus on safety has earned our welded tank division an “A” rating under the Contractor Health Environment Safety Management (CHESM) program. All of our bolted and welded tanks for oil storage, feature API approved appurtenances such as thief hatches, cone deck manways and washout windows. In addition, we can custom fabricate internal and external piping to meet project needs. In addition to crude oil storage tanks, STCI can manufacture other oil related steel tanks such as wash tanks, skim tanks and produced water storage tanks. Our bolted tanks and welded steel tanks can incorporate with specialty features such as exterior insulation and internal heaters making them well suited for use with process water treatment facilities. When service or repair is needed for an existing oil storage tank, STCI can help. 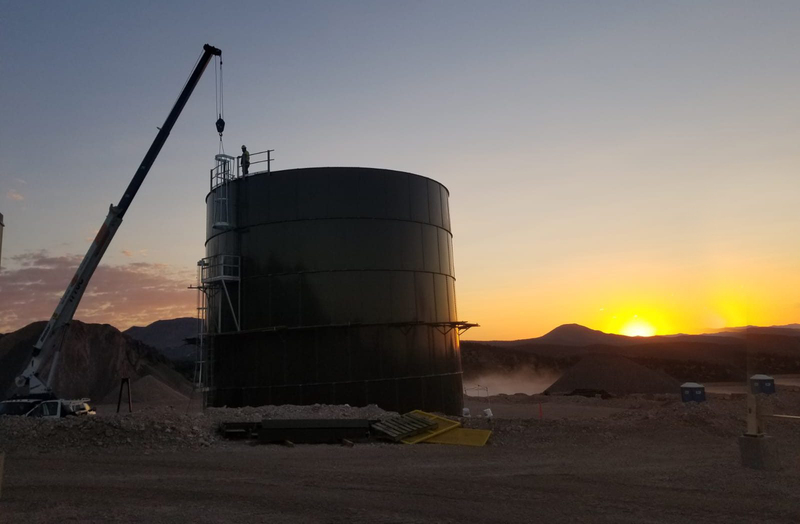 Our field teams fabricate and install both bolted tanks and welded steel tanks and have the experience needed to properly repair and service oil storage tanks. We provide a range of services including shell patching, coating renovation, roof rafter replacement, foundation repairs, upgraded safety hardware and new/replacement appurtenances. Superior Tank Co., Inc is one of the very few companies in the world to provide such a wide range of services for oil storage tanks. Does the tank require ladders? Does the tank require a handrail? Does the tank require a Liquid Level Indicator? Do you need Superior Tank to provide stamped drawings? Previous What makes a bolted tank “Superior”?